You must be a member of the Hamburg Cinema Group to attend this activity. Would you like to join this group? We go back to the Theatre. Lets enjoy a glass of wine together before the show. Take the train to UBahn Hamburger Stasse. I look forward to seeing you again. 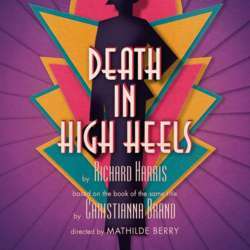 A stylish whodunnit set in a Protected content couture house - adapted from the novel by Christianna Brand. A big day for the staff at fashion house Christophe et Cie, as they eagerly await the decision of who will be appointed general manager of a new branch in France. Will it be the elegant Miss Doon or the longserving Miss Gregory? Perhaps senior saleswoman Irene or showroom manager Dorian will get the job. Events take a dramatic turn over lunch when one of them collapses and dies, poisoned it seems by a rival. Inspector Charlesworth has a murder enquiry on his hands. Behind the glamour and gossip of a Protected content fashion house, secrets and lies are rife and more than one person may have harboured resentment towards the victim. Last time I reserved the tickets and not everyone showed up. Therefore I put the responsibility onto yourselves as the mature adults that you are. I have purchased my ticket Row 11 Seat 11. It is nice that when you purchase your ticket that you post it in the comments so we know if the person seating next to you is with InterNations. The link is directly to the ticket purchase.